CNS is the Central Nervous System that functions in order to coordinate each and every activity taking place in all the parts of the body of every bilaterian organism (animals evolved to a better organic stage than sponges and jellyfish). The central nervous system, in vertebrates is placed inside the meninges and consists of the brain and the spinal cord. On the other hand the PNS or the Peripheral Nervous System exists and extends outside the Central Nervous System. The prime function served by the Central Nervous System is that along with the PNS it contributes a huge control on the organism’s behavior. On the other hand the main function of the Peripheral Nervous System is to connect the Central Nervous System with the various organs in the body and the limbs. The Central Nervous System is placed safely within the dorsal cavity, the brain placed inside the cranial cavity and the spinal cord in the spinal cavity. The skull protects the brain and the vertebra protects the entire spinal cord. But like the CNS the Peripheral Nervous System is not protected by any bone or blood-brain barrier. It remains open to all sorts of mechanical injuries and toxins as well. It consists of the autonomic nervous system and the somatic nervous system. The function of the Peripheral Nervous System is to integrate important information and details that are gathered from the external environment. On the other hand, it is the function of the Central Nervous System to process all these gathered information. With processing of information the function of the CNS ends but the function of the PNS still continues. It is also responsible for the movement of all the information from the sensory cells, gland cells and muscle cells to the CNS and back from there. The Central Nervous System communicates all sorts of involuntary information while the Peripheral Nervous System communicates all the voluntary information. Moreover, the PNS plays a role in regulation of blood pressure, thirst and body temperature whereas the Central Nervous System plays no role in this context. 1. CNS refers to the Central Nervous System whereas PNS refers to the Peripheral Nervous System. 2. The Central Nervous System comprises of the brain and the spinal cord whereas the Peripheral Nervous System comprises of the autonomic nervous system and the somatic nervous system. 3. The CNS handles involuntary information while the PNS handles voluntary information. Abishek. "Difference Between CNS and PNS." DifferenceBetween.net. November 23, 2009 < http://www.differencebetween.net/science/health/difference-between-cns-and-pns/ >. Major inaccuracies here! PNS is NOT voluntary. CNS is the voluntary components; contains the cerebrum which is responsible for higher level processing, cognition, and integration. 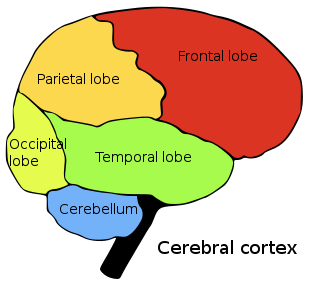 Think the frontal, occipital, parietal, and temporal lobes in complex organisms.